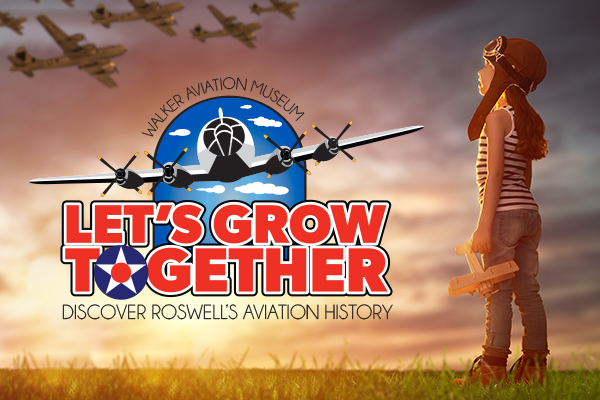 Walker Aviation Museum and the City of Roswell are proud to sponsor the Look to the Sky Roswell Aviation Discovery & Fly In. This great event features plenty of static displays, including a 747 walk through! 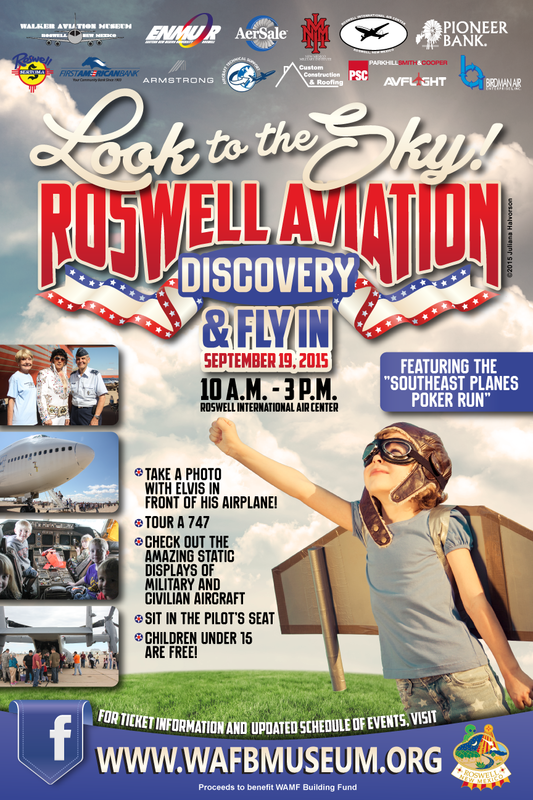 This event is held September 19, 2015 from 10 a.m. – 3 p.m.
Take a photo with Elvis in front of his airplane! Want to ride in a helicopter? You can for only $60 with Vertical Limit Aviation! Cost is only $2/person and children under 15 are free! Tickets can be purchased at the gate. The money raised goes to help the Walker Aviation Museum Building Fund – a great cause! Don’t forget the General Walker Day on September 18.